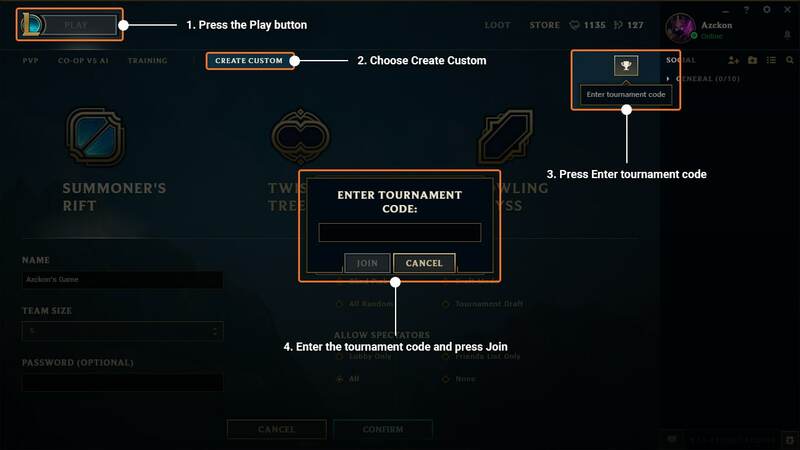 The Tournament Code is an automatically generated code that creates a lobby in League of Legends, with the exact same settings and players as on Challengermode. 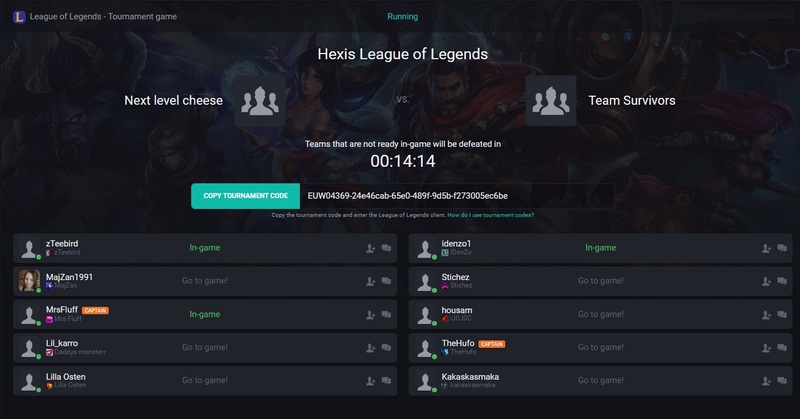 It automates the process of setting up custom games, and make match reporting automatic! How to get the Tournament code? Note that this step will only be required when the tournament lobbies are started by players (when all of them have entered) or admins manually, rather than automatically by the system. The Custom Game will now be created automatically for you and your opponents. Make sure that you choose the same side as on Challengermode. Left is Left, Right is Right (Blue vs Red). DO NOT start the LoL game until everyone has entered the game lobby. Starting without a full enemy team (4v5 or 0v1, etc) may result in disqualification.